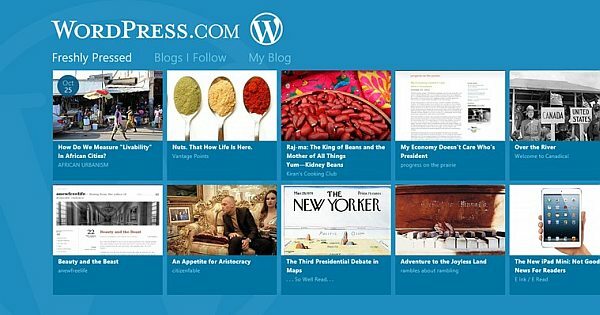 WordPress.com is blog hosting software initially released eleven years ago in 2003. PHP is the platform for wordpress. There are many great features of wordpress. You can make a blog or website of your imagination with wordpress. And most importantly it is free of cost. You don’t need to have the technical knowhow to make the website. All you need to understand is how to go about using plug ins and how to categorise your work into a menu bar structure. Once you get a hold of that, there are countless plugins you can use and customize your website according to your needs. WordPress includes 320+ themes which you can use while making your blog or website. You can customize it according to your wishes. They have many custom designs which are very beautiful and free to use. You can even connect your site with other social media sites like facebook, twitter, LinkedIn, Tumblr and many more. It has a feature called publicize which publicize your work to these sites. Apart from this you can also use various plug in available for free. The paid ones have an added advantage of not having any ads attached to them. You can even keep an eye on the stats of your website and log. This features lets you know more about the readers which are interested in your site or blog. It lets you know the place your reader belong or how they got to know about you. These statistics are presented beautifully by graphs, charts and density maps. WordPress also comes in mobile application. So you don’t need to stick to your laptops or desktops to use wordpress. You can install the application in your phone and can use this app from anywhere. This application increases the usability of the software and makes it more popular. It has app for android phones, iphones, ipads as well as blackberry. The import tool of wordpress works with almost all the major blogging platforms. Your work moves with you. You can easily export your work anywhere. The next very important feature is that it is very safe. Your site is secure. The servers are spread across various data centres. This makes it very fast and easy and secure. Security in today’s digital era is of utmost importance and WP takes care of it. Another powerful feature is that it is available in fifty languages. In a way it is multilingual. A user in any part of the word is able to use it as it is very user friendly by providing so many language options. You have the option to make your blog or site public or private. The user can make the blog private or public. It depends on the discretion of the user to select this feature according to his wishes. Another which you will love is its spammer blocker. Akismet (available as a plugin) is the features which stops all the unnecessary comments from your site and make the life easier for you. You can also add image, audio or video to your site and make it more interesting and enjoyable. You can show up your pictures one by one or in a gallery or in a slideshow. That’s upon you how you wish to use it. You can also invite others for their contribution and make it a multi author blog. These are just the features which make your work easier for you. But until and unless you use it you won’t be able to get surprised by the results it shows you. So, if you are thinking of creating a blog, go to wordpress.com.